Adrian Ballinger is a world class mountaineer, skier, business leader, and professional speaker. As founder and head guide of the internationally acclaimed Alpenglow Expeditions, Adrian envisioned a more holistic climbing experience for his clients than the status quo. How was Alpenglow able to expand to 10 times its size in 10 years all while setting new industry standards and expectations? Adrian believes running a business is a lot like climbing a mountain and attributes his extensive mountaineering experiences to his company’s success. In his forthcoming book, “Why Everest Matters – Lessons Learned from the Roof of the World,” Adrian explains essential business concepts such as leadership, teamwork, and risk management from a climber’s perspective. Adrian’s inspiring stories from the amazing places he’s traveled embolden audiences to integrate these important concepts into their own lives and businesses. As a professional athlete first and foremost, Adrian is the only American who has skied two 8,000 meter peaks, was the first person to ski Manaslu, the 8th tallest mountain in the world, and in 2011 became the first person to summit three 8,000 meter peaks in only 3 weeks (Everest twice and Lhotse once). 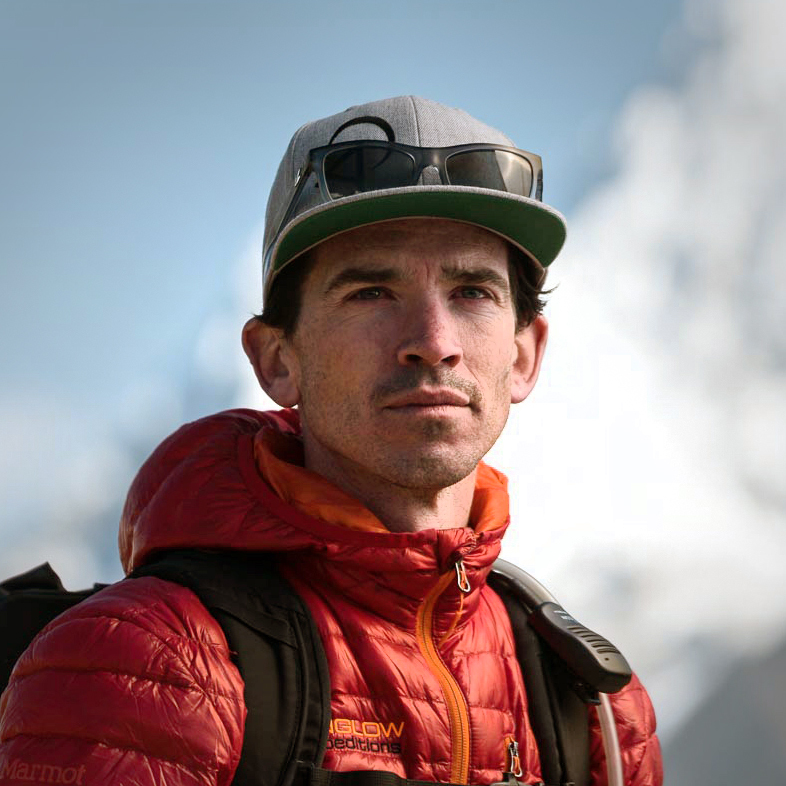 He is the only American guide to have both AMGA/IFMGA guide’s certifications and has achieved more than 10 summits of 8,000 meter peaks (including 6 summits of Mt. Everest). Adrian is a sponsored athlete for Eddie Bauer, La Sportiva, Kaenon, Goal Zero, Hypoxico and Alpenglow Sports and welcomes new sponsors who are committed to aligning with high altitude achievement.